Dr. 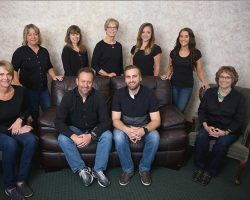 Dial and Dr. Hastings at Times Square Dental wants to take a moment to praise our awesome dental staff here in Boise, ID. We have a caring, compassionate, and fun team of professionals, and patients are the ones who benefit! Here’s Dr. Dial talking more about why he loves working with our staff, and why patients do, too! Visit us in Boise and see why patients appreciate our team! Call Times Square Dental today at 208-278-1069 or fill out our convenient online form to schedule an appointment.